It was a year ago that President of CP Athletic Development Academy Coach Peter Rickards was appointed to the Advisory Board of the Northeast Futsal Association. Rickards has now been offered a position as a member of the Peterborough United Football Club Academy staff. Rickards, is back on island this week to share new developments at the Futsal Intensive Camp to be held at Whitney Institute Gymnasium. 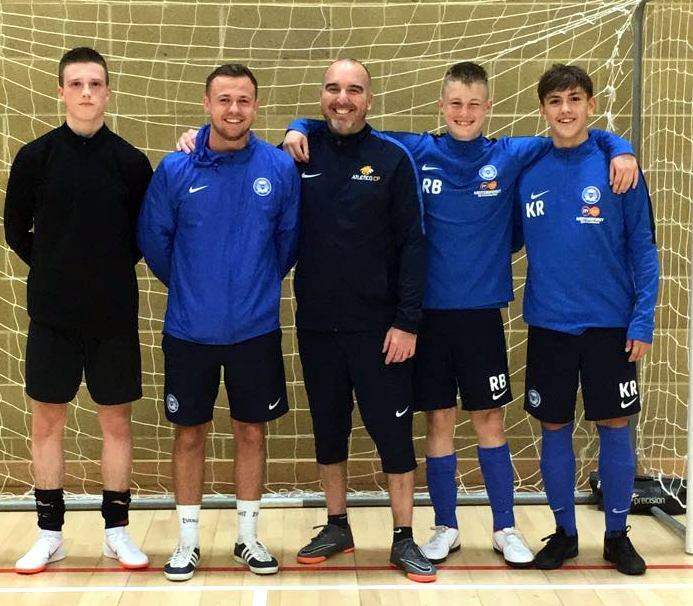 Coach Pete is also be able to provide a unique insight into the inner working of professional academies gained from first hand exposure with Peterborough United of late. CP Athletic Development is a Bermuda based athletic development academy with a Futsal Academy program of over 60 members aged 6 to 27, which was started by Coach Pete and continues to run today with staff keeping the intensity that Coach Pete expects.